Recently I asked readers, what I should do to celebrate when Flying Lessons achieves one million page views. And while many people suggested having a cocktail or going flying (not at the same time of course) I was unknowingly, already working on the perfect celebration; taking a trip to somewhere new and on this one I want you to come along with me. Today, April 1st, no foolin; this blog will be arriving in formation with my travel blog at my new website so this will be my last post at this url. 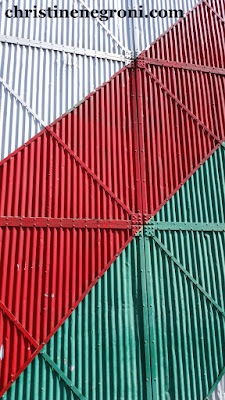 christinenegroni.com is beautifully designed by the mega-talented, Portland-based, Kate McMillian of Outbox Online. The site she’s built has space for photos, videos, comments, an archive of newspaper and magazine stories I’ve written and information about (and soon an excerpt from) my new book. Your arrival checklist is simple. Click on “subscribe”, select which blog you want to receive - you can select both blogs if you wish - and you're done. You'll be notified each time I publish a new post. 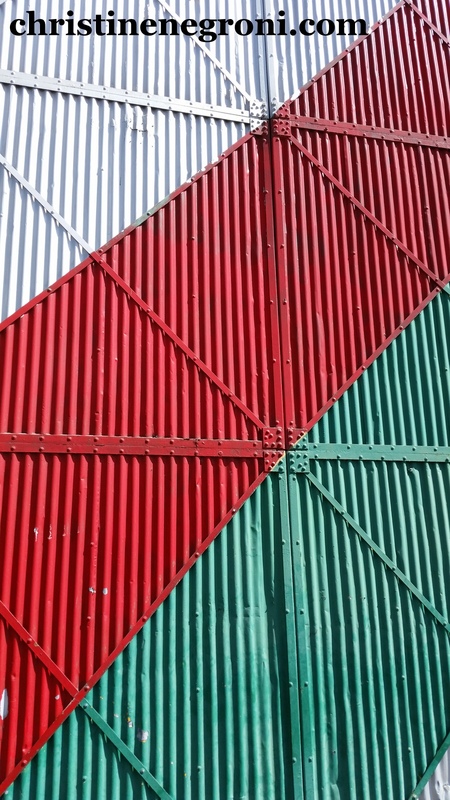 As ever, your email address is safe. I won’t sell it or use it to spam you. If you are already receiving Flying Lessons via Feedburner or Google Groups or any other RSS feed, that may continue, then again it may not. Since I don’t want to lose you and I hope you don’t want to lose me, just click on "subscribe", okay? Over the past few years, I’ve written 499 Flying Lessons posts and exceeded 951,000 page views. 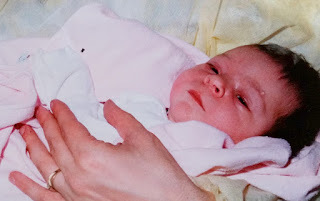 These nearly-there numbers remind me of the birth of my daughter Marian Schembari. In 1987, she arrived one-minute before 3:00 am and 1 ounce shy of 6 pounds. She’s exceeded all expectations ever since. With your support I have high hopes Flying Lessons will continue to soar. See you soon at christinenegroni.com. 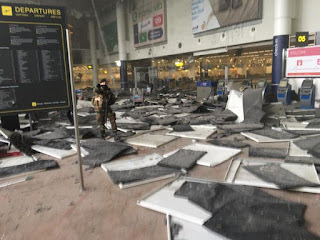 A bomb in the departure area of Brussels Airport that killed 11 people this morning is already prompting discussion about how to better secure public areas of airports. 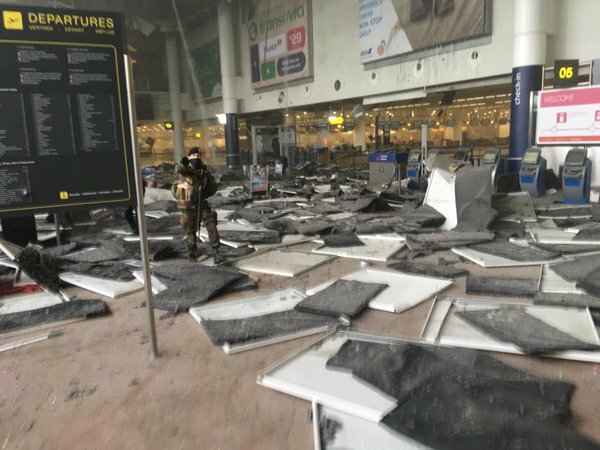 The news site Mashable, is quoting Brussels-based security journalist Brooks Tigner, asking, "if [attackers] are going to target public departures areas, what do we do?" Other airports have already answered that question. Among those that have been pro active in protecting the assembly of air travelers is Addis Ababa's Bole International Airport, which has been closed to non travelers for years. There's something very strange about the news out of Nairobi in which four British men were arrested after taking photos of airplanes at the city's in-town airport. According to a BBC report, the self-described plane spotters said they had permission to take photos of airplanes at Wilson Airport, but the sight of them with their cameras caused concern among some folk who noticed them, “from the airport bar,” and I’m quoting directly from the BBC report. After the men were picked up at Wilson Airport they were taken to Jomo Kenyatta International Airport on the far side of the city and incarcerated there for nine days. 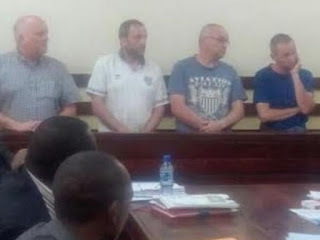 Stephen Gibson, 59, Ian Glover, 46, Edwin Swift, 47 and Paul William, 47, will have to cough up $2,000 to get out of jail and out of the country according to the Kenya Star newspaper. 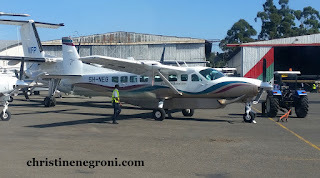 During my visit to Nairobi I roamed Wilson Airport on four occasions, once after having a lovely lunch at the colonial-era-styled East African Aero Club complete with photos of famous aviatrix Beryl Markham on the walls and aviation-themed movies playing on the lobby television. I wandered around the property including the guest houses snapping away. It is worth noting these days while we are doing so much talking about women in aviation, that Wilson Airport, was named after Florence Wilson, a British widow and heiress who invested in an airline in the twenties with her lover, the pilot Thomas Campbell Black. While Campbell didn’t treat Wilson like a lady, (he left her, the story goes for Beryl Markham), even after he was gone, the business thrived. In 1939, however, the British government absorbed Ms. Wilson’s fleet along with the flying school into its Kenya Auxiliary Air Unit. In 1962, shortly before becoming the independent nation of Kenya, the airfield was renamed to honor Florence Wilson. In February I transited through Wilson airport several times as I changed planes en route to Keyna’s famed wildlife parks; Amboseli and Maasa Mara. I took photos from inside the airport and out and from inside my airplane and out and I was far from the only one with a camera. I recorded 5Y-IHO the DeHavilland Dash-8 and ET-AMV, the Cessna Caravan, both of which are being used by the United Nations World Food Program. 5Y-FDK the Phoenix Aviation’s King Air used by the Flying Doctor Service and the arrival of a fancy business jet from which emerged several men acting important and tailed by an entourage of what seemed to be journalists. Helicopter touch-and-gos, pilot pre flights, security screenings, I shot it all without seeing a raised eyebrow. Kenya is justifiably cautious as it faces a terrorism threat with Somali violence on its eastern border. I don’t know what about this particular band of Brits made them more threatening to the authorities than other camera-wielding travelers. But my photos show there’s more to this story than what meets the eye. Two stories with big consequences for the participants and lessons for the rest of us were in the news this week. After years of fighting their firing for expressing concern about the security of their aircraft, 13 United flight attendants have been reinstated. 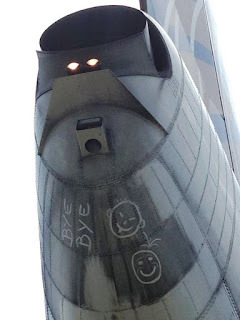 You may recall from a previous post on my blog, that in the summer of 2014, the cabin crew on a flight from San Francisco to Hong Kong, grew concerned about disturbing graffiti on the tail of their Boeing 747. Drawn in the grease were two faces and the words "bye bye". The airlines operations staff dismissed the drawing as a benign prank - not a security issue and tried to dispatch the plane. 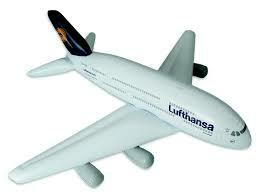 The cabin crew was less sanguine. Malaysia Flight 370 had disappeared without a trace just four months earlier justifying - to them at least - their edginess.